I’m going to start my catch-up with one of the most monumental events to occur in our lab since I’ve been here. Dave (my advisor and almighty ruler of the lab) always has a mustache. According to him he’s had that mustache since he could grow facial hair. We call it the “Wag-stache”. An epic plot was concocted by one of our lab members last fall. Throughout October, none of the guys in the lab shaved. They slowly grew out their facial hair without saying much about it. Then Dave left for Arizona for a week. When he returned to the lab… all of the guys had a “Wag-stache”. None of us got anything done that day, because we were too busy laughing and taking pictures. One of them used photoshop to create an album cover. The title of their “band” came naturally. 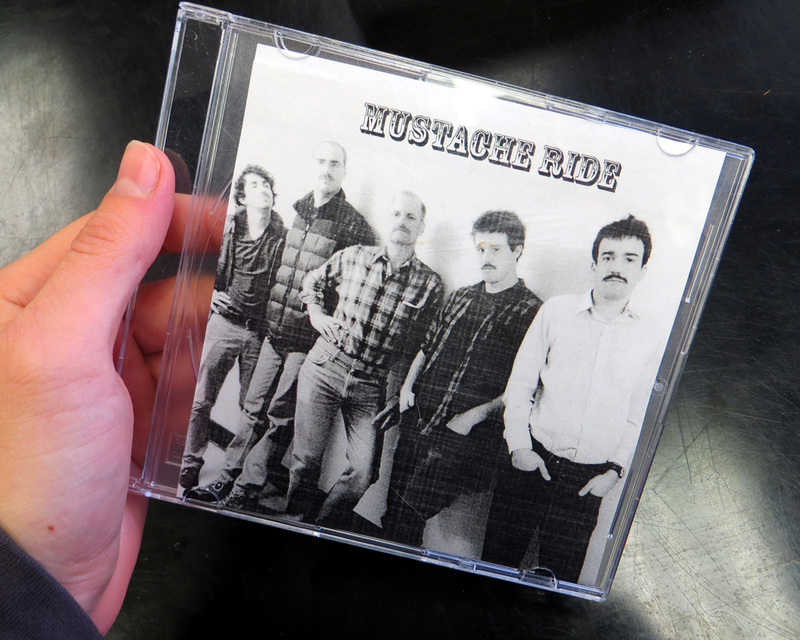 Not much more needs to be said (though we did have to explain to one of them what “mustache ride” means). Unfortunately, they all shaved the next day. Except Dave. Long live the Wag-stache. Posted on January 24, 2013, in Wag Lab. Bookmark the permalink. 2 Comments.